It seems as though this is another film that most reviewers have been overly harsh towards. While this film stumbles in several areas the story is not one of them. Richard Roeper said it was the best attempt yet to capture the essence of the novel, and I'm inclined too agree with him. However this film is still far from perfect. It should go without saying that if you don't like the novel, there is no need to watch the movie, your still not going to like the story in this format. However it's also possible that you love the classic work of literature but prefer it in its original format where your own imagination can create the images and voices to accompany Fitzgerald's words. If that's the case than someone else's artistic rendering of it may not do it for you either. I can understand some of the angst toward the film, I'll get into my issues with it shortly, but I did enjoy it because I appreciate the novel and it does get at the heart of the issues the novel brings up. The novel works on so many levels. The story had many themes such as thwarted love, the divide among class, and the decaying of morals and the American dream in the early 1900s. It's a tragedy that obviously has a lot of ideas to cover and the film hits many of these ideas very well, perhaps even to a fault. At nearly two and a half hours, the film is on the lengthy side and a lot of the setup is glossed over so quickly that often in the first half of the film there is simply too much quick cutting. There is dissolve after dissolve, at times even trying to move on even while the characters are still trying to complete their last line of dialogue. It is a clear case of editing getting in the way of story telling. It's too much, to the point that it becomes distracting and even a little disorienting. That leads to one of the main problems I had with the film, the pacing its just all over the place. It rushes through the first half of the film only to slow down and drag its way through the second half. I will say, however, the second half is the better half. If the first half makes you question your decision to watch the film, the second will make up for it. For me it was too much attempted modernising for a story otherwise very clearly set in the past. Luhrmann, whose 1996 film Rome + Juliet was a strange combination of Shakespeare's voice + a modern setting that just seemed off, again tried to add a modern flare to an old classic, and again it just felt off. From the CG animated cityscapes to the hip hop music playing over people dancing in old timey 1920's era outfits, too much of this film just didn't match the era it was set in. You can chalk it up to me not being a fan of that kind of music but I can't be the only one who was completely taken out of the experience whenever the modern music came over the soundtrack. In the second half of the film they dialed down the hip hop in favor of more moody, slower music that better fit the mood and tone of the film, but it still probably would have been better served by some solid orchestral music, or at least something more period appropriate. 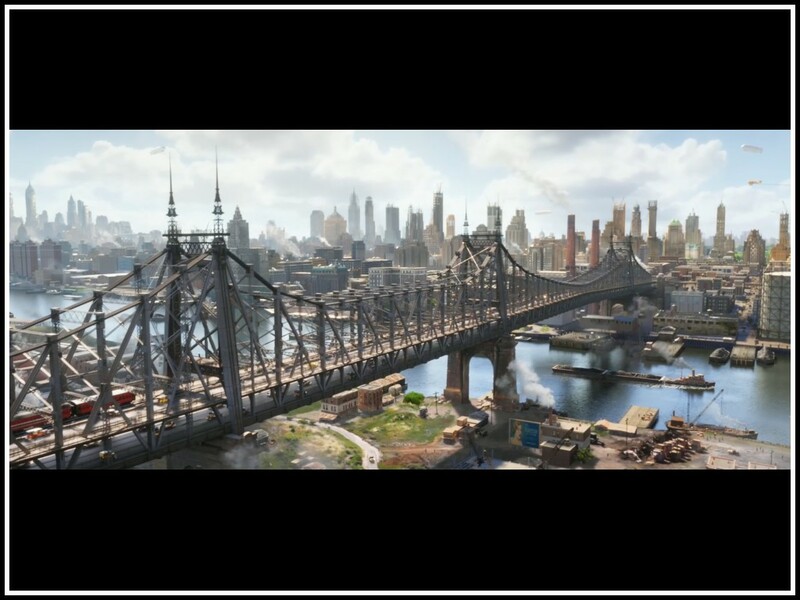 I understand what Luhrmann was trying to do with his animated landscapes, but I'm not entirely sure it's necessary. The hard line that shows where poor city meets rich city serves as a visualization of the class divide that is clearly a theme within this story. It also helps to show us a bit of hypocrisy in Tom Buchanan's character. 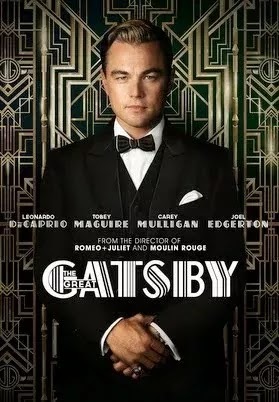 There is a fantastic scene in which Gatsby tries to get Daisy to say that she never loved Tom (as if that will fix the 5 years that separate them), and Tom, knowing Daisy's attraction to wealth, keeps trying to prove that underneath the false image Gatsby has created for himself, he is in reality a man of lower class, not of the same status and therefore not worthy of her company. 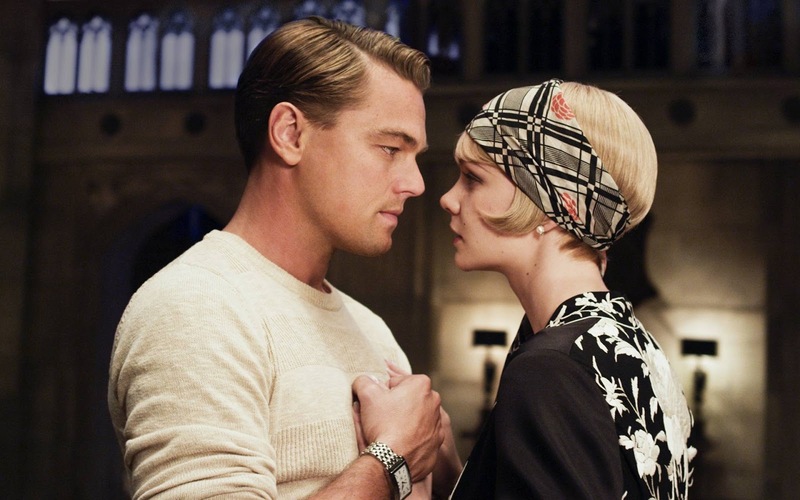 Gatsby eventually loses his temper and in so doing loses face with Daisy, his real side breaking through his false exterior, as he shows his "lower class behavior." Of course, Tom the hypocrite himself often crosses that line to meet up with his lower class mistress in that dark, dirty area of town. Luhrmann gives us that clear visualization of the difference in class. There are many elements such as this at play in Fitzgerald's novel, and in this case Luhrmann's over-stylized presentation actually helps establish these elements even if you can make a case that they aren't really necessary. Luhrman has a difficult job of taking a well loved classic and trying to present it in a new and interesting way, so I guess I shouldn't fault him for trying to do something like this. Despite the fact that the film has numerous flaws, most of which I think are stylistic choices, I can honestly say I still enjoyed the film. Because a good number of scenes stood out to me as having done an excellent job getting to the essence of the novel's themes, I found myself having a greater appreciation for F. Scott Fitzgerald's novel. I now find myself wanting to read it again. I say that fully aware that it could sound like the best and worst compliment I can give the film. Although if it helps you decide how to experience the story, I should say, even though I enjoyed the film, I would read the book again before I would watch the movie again.